An Etsy Dose Of Sugar Giveaway! Gifts made by hand with lots of love are THE BEST! Etsy is the most wonderful way to shop and find a special gift. I’ve teamed up with the lovely and talented Sarah from Epicerie Spicy Sweet and present you an amazing giveaway! What you’ll find in Sarah’s Etsy shop is 100% vegan, organic, natural, gluten free, handmade, artisan sugar blends. You would even want to join her Sugar Of The Month Club! Mint Chocolate, Red Wine Maple, and Vanilla Amaretto are just a few of Sarah’s wide selection of flavored sugars! She creates spectacular and gorgeous Rose Shaped Sugar Cubes which are perfect for those special occasions! Great to use for party favors at weddings and tea parties. 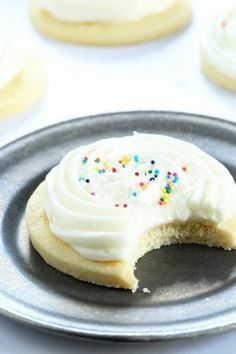 Your guests would be in love with these! I know I am. So, what can you make with these delicious gourmet sugars, you ask? Sarah includes matching recipe cards with every jar! Also, during the week of this fun giveaway, I will be sharing a few recipes I’ve created with Sarah’s amazing sugars. So, stay tuned! 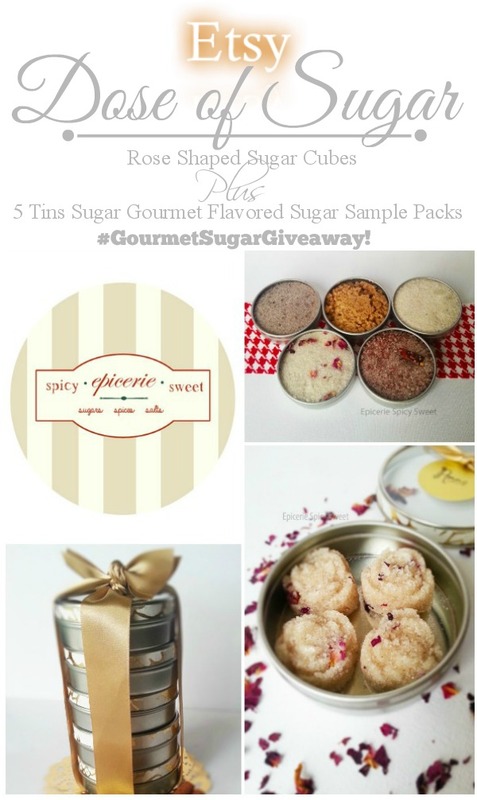 Enter to win 5 Tin Sample Packs plus a tin of Rose Shaped Sugar Cubes in Rose Cardamom flavor! Claire, don’t they look amazing?! Thank you so much, my friend! what a deliciously fun giveaway Gloria, I would love baking cookies or muffins with these sugars! Fun giveaway! Just entered, thanks Gloria! These are so neat! I would love to try cinnamon rolls with these sugars. Thanks for the fun giveaway! Mary Frances, that sounds delish with cinnamon rolls! Theresa, that one sounds amazing! Good luck! My brain’s already thinking of things to do with the Chai sugar. Thanks! By the way, the Epicerie instagram link doesn’t work, thought you may want to know.